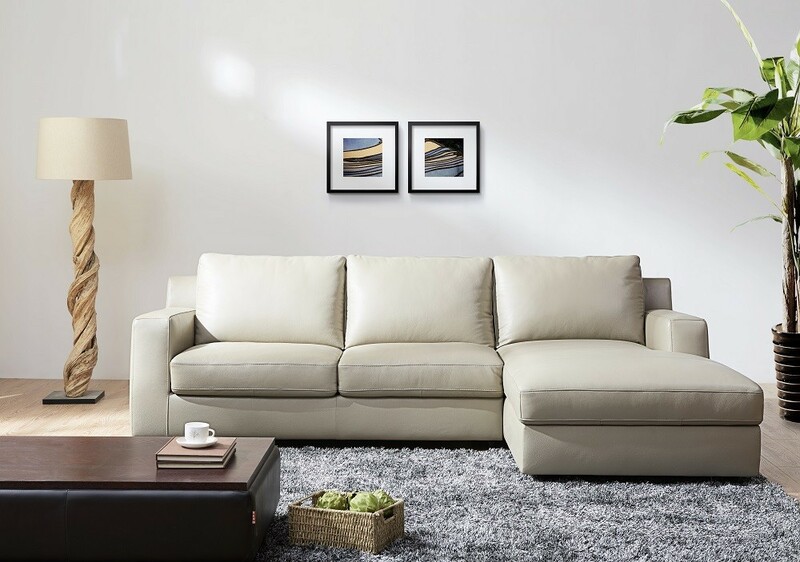 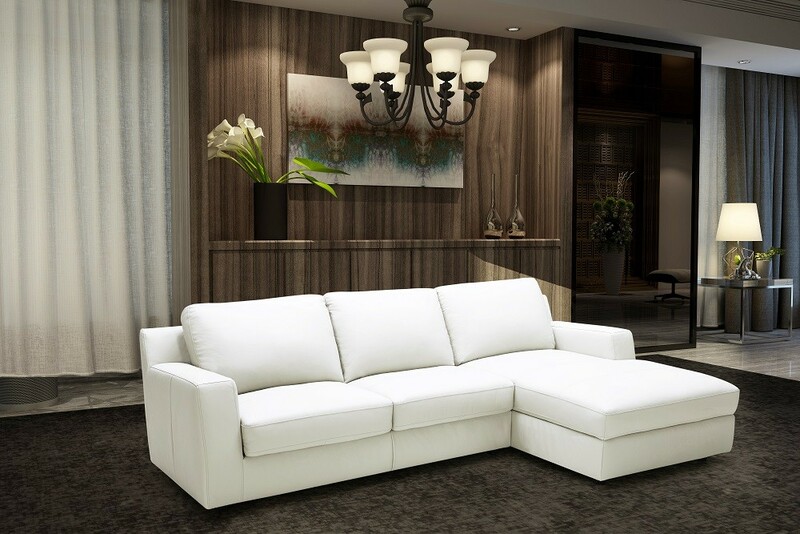 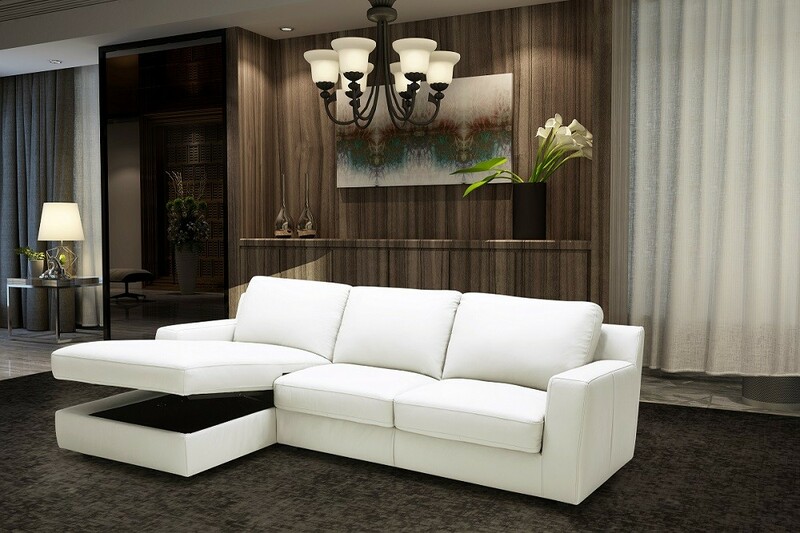 Alexis sofa bed sectional is available in white, black and beige colors leather. 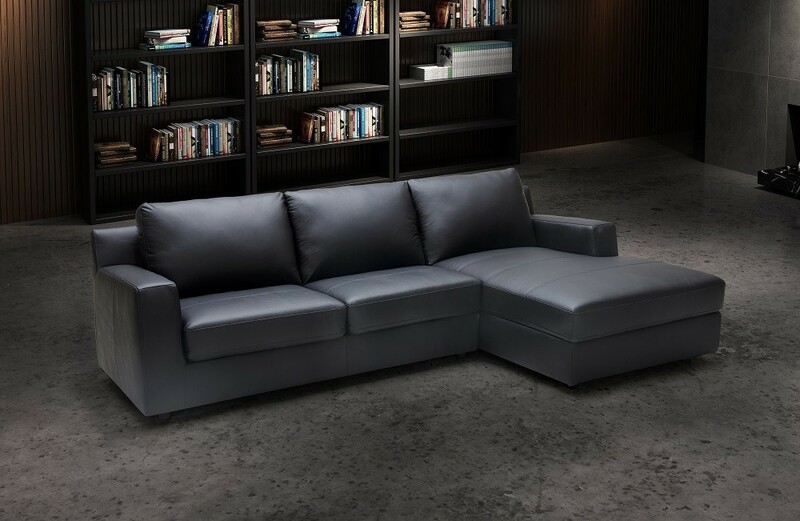 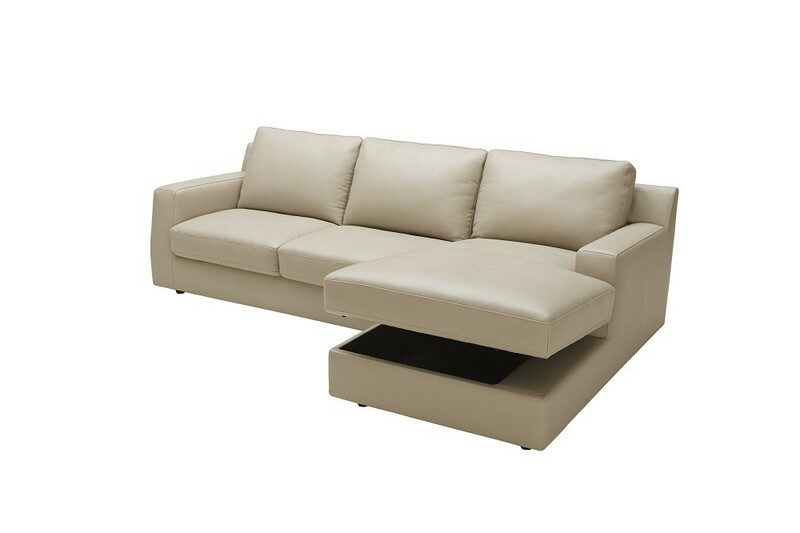 Full Italian leather all around on this two piece minimalist contemporary style sectional. 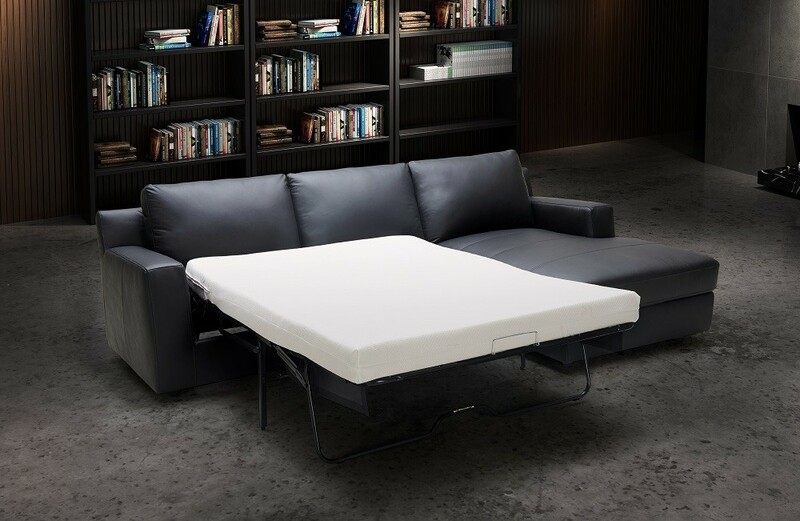 You can turn it into a sofa bed and take advantage of luxury mattress that's included. 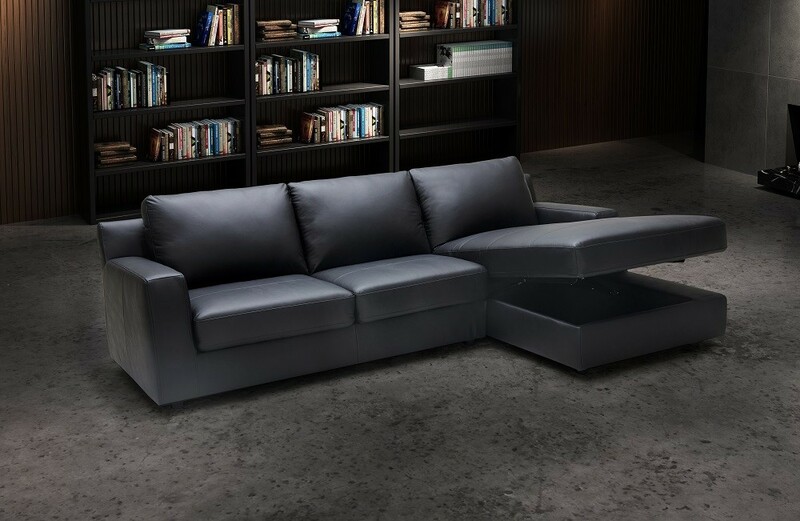 Left or right handed chaise with a storage inside.